Essential oils are like a magic potion, delivering a wide variety of benefits and instant results. How you use them depends on what your goal is. They could be to help you relax, tackle a headache, induce sleep or deal with a particularly bad case of nasal congestion. 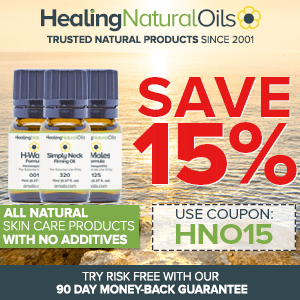 In general, there are three ways essential oils get into the body; through inhalation, by topical application on the skin and through ingestion. 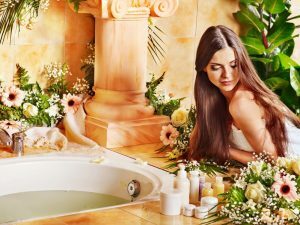 Based on these three methods, you can choose from a wide assortment of usage options ranging from aromatherapy to bathing. If you are just starting out on the essential oil adventure or you want to expand your experiences, here is a detailed list of ways you can use essential oils. Before going any further, let’s make an important note on safety when using essential oils topically. I strongly advise against the use of undiluted essential oils directly on the skin (i.e. neat application of essential oils). It could cause inflammation and sensitivity. So, what do you need to do? Simply dilute the essential oil in a carrier oil such as sweet almond, coconut, jojoba, olive, argan oil. Depending on your skin type (oily/combination or dry/sensitive), you can use a 1% dilution which means adding 6 drops of essential oils to 1 ounce (30ml) of carrier oil or a 2% dilution which means 12 drops of essential oils in 1 ounce carrier oil. All the necessary material is covered in my 2 eBooks. With that out of the way, there are numerous ways essential oils can benefit your skin. Each essential oil has its own unique property and benefit. So make sure you know all the relevant information about a particular essential oil before making a purchase. In beauty and skincare, essential oils can help smooth out the skin, even the tone, help with fine lines and wrinkles, and aid in cell regeneration. Carrot seed essential oil is great at skin rejuvenation, which helps combat aging symptoms. Lemongrass helps lighten the skin and give it a healthy glow. Palmarosa essential oil is incredibly beneficial for dry skin while neroli essential oil works really well for oily skin. Various essential oils can also be used to treat a number of skin problems. Tea tree oil is anti-bacterial and anti-fungal and can be used to treat scrapes and cuts on the skin. Chamomile is effective against inflammation and skin sensitivity. Cypress oil is an astringent that can help with varicose veins and broken skin. 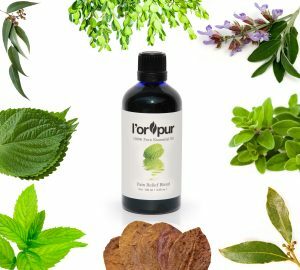 Patchouli essential oil has for years been used to deal with acne, eczema and chapped skin. If you are suffering from pain or inflammation on specific area of your body, there are several essential oils that can help with such symptoms. One of the most popular one is peppermint. You can massage peppermint essential oil on your abdominal area to reduce menstrual cramps and can be applied on the back to ease back pain. Other pain relieving essential oils include marjoram, eucalyptus, rosemary and wintergreen essential oils. When preparing essential oils for topical applications, always dilute it in a carrier oil before application (you can use a 1% dilution for children and 2% dilution for adults). The only exception to the above is if you are using a little amount of a mild essential oil such as lavender. But even in this case, I would recommend doing a skin test patch to test for any adverse reaction before using it undiluted. Another important tip is to always read the instructions and guidelines on the label. Some oils are not recommended for application on the skin. If you are applying an essential oil blend on your face, consider rinsing it out first with warm water. This opens up the pores and allows the blend to penetrate deeper into the skin for full benefits. Most essential oils have a very pleasant and soothing aroma. How do you make the most of them? Well, their aromas can be used to induce sleep and relaxation, for nasal decongestion or simply to make your environment (car, room, office, etc.) smell heavenly. Here are a few ways you can take advantage of essential oil aromas. The most common method is to use an essential oil diffuser, where you mix water and several drops of your preferred essential oil. Some diffusers use heat to vaporize the oil but the best ones rely on ultrasonic vibrations to break up the mixture of oil and water into tiny particles. 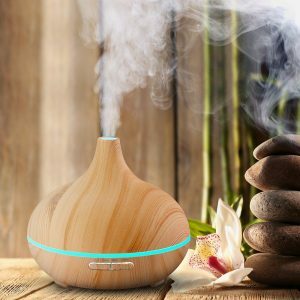 Modern diffusers are safe to use even with children around since there is no heat involved and the essential oil has been mostly diluted in water. An alternative to a diffuser is a DIY spray. As in a diffuser, you mix a few drops of essential oil with water in a spray bottle and then use it to deodorize your home or office. Remember to shake the bottle before spraying to ensure that the mixture is homogeneous. Another option is dry evaporation. In this case, you put a few drops of essential oil on a cotton ball then leave it to evaporate slowly or another option is to use a natural bamboo reed essential oil diffuser. You can place it on your desk or next to your bed and the aroma will diffuse within the immediate vicinity. You can also place the cotton ball near a vent or fan if you want the aroma to spread further. The kind of essential oil or blend you use will depend on what you want to achieve. Cinnamon essential oil is anti-microbial and helps to clean up the air. Lemongrass and eucalyptus are natural bug repellents. Use them in a spray bottle or diffuser to keep away mosquitoes and other bugs. Orange, clove and rosemary are perfect if you want your home to smell heavenly. Lavender and chamomile are for when you want to relax or fall asleep faster. When you want to focus on work, Ylang Ylang, eucalyptus, lemon and basil will help boost concentration. You can also read about my own 5 blends kit here. These are premium 100% pure essential oil blends that I have developed with truly unique benefits. For people suffering from respiratory and nasal issues, steam inhalation using essential oil is one of the best ways to experience instant relief. If you have a sinus infection, nasal congestion or a cold, essential oil steam inhalation can be of great help. At the same time, it can also be used to combat insomnia, headaches and to calm down emotional anxiety. One of the important things to note is that this method of using essential oils is extremely potent. Therefore, only use the recommended number of drops of essential oil as per my various recipes. If you use too much, it could overwhelm you and possibly cause uncomfortable symptoms. Start by adding steaming water to a sizable bowl. Keep a towel handy because you are going to need it. Take the essential oil of your choice and add it to the steaming water. Generally, if you have a nasal congestion, headache or a sinus infection, use eucalyptus, peppermint or thyme oil. If you need to calm down or get some help falling asleep, use lavender or chamomile. (You can also follow one of my recipes). Once you add the essential oil to the steaming water, it will immediately start evaporating along with the steam. Take the towel, place it behind your neck and head and bend down such that the towel traps any steam rising upwards. Make sure not to burn yourself in the process, so keep a safe distance from the bowl. Inhale the steam though your nose. If the mixture feels too weak, you can add a couple more drops of essential oil. You can do this as many times as you wish on a daily basis (recommended 3 times), continually replacing the cooling water with hot steaming water. A massage is one of the best and most enjoyable ways to use essential oils topically (as if someone didn’t know that already!). 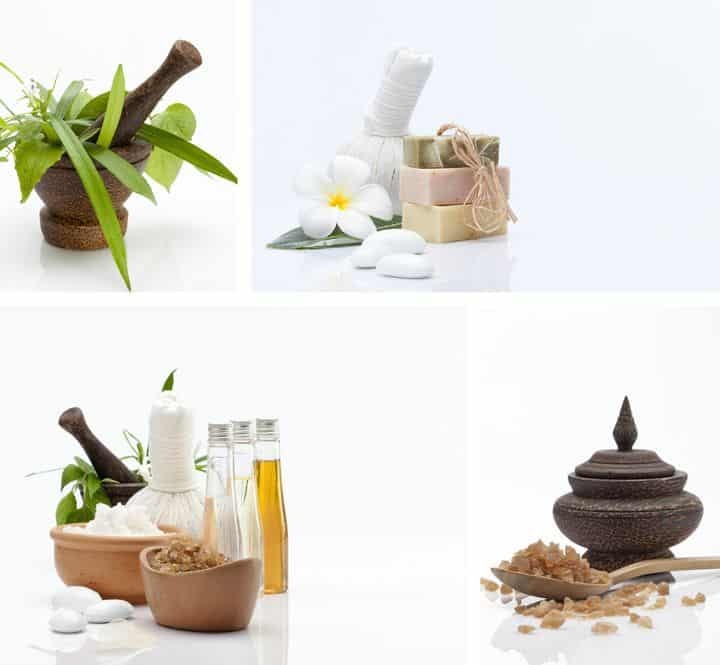 If you get your massages at a spa, ask your masseur whether he/she can add some essential oil to the massage oil (if it does not already contain some essential oils). You can also buy your own essential oil for use for home massages. For instance, a foot massage allows the essential oil to enter the blood stream for immediate therapeutic benefits. Essential oils like cypress and grapefruit can be used on cellulite-heavy areas of the skin to improve appearance. Frankincense and myrrh are great at combating stretch marks on the skin. Lavender essential oil is good for massaging cracked and dry feet (equally good are eucalyptus tea tree, lemon and peppermint – make sure to dilute them before using). For whole body massage, use essential oils like geranium (revitalizing), lavender (relaxing), coriander (blood circulation) and Rose (soothing). If you are giving someone a massage, remember to use gentle pressure and be especially careful around the spinal area. For self-massage, you can rub the massage oil in your hands and rub it on your feet, legs, arms, neck and shoulders. To prepare the massage oil, mix a few drops of essential oil with a carrier oil such as jojoba, coconut and olive oil. The carrier oil dilutes essential oil and allows it to penetrate the skin. It is also a good idea to test the mixture first on a small patch of the skin to ensure there are no sensitivity issues. There is nothing like a relaxing bath scented with heavenly smelling essential oils. The oil enters your body in two ways. You inhale it from the steam rising out of the water and it also gets in contact with your skin. You can use essential oils in bathing simply to help you relax, deal with a persistent migraine or clear nasal congestion. The obvious idea is to add several drops of the essential oil to the water and soak yourself in it. Start by mixing the essential oils with a carrier oil and add to the bath. You can also add bath salts to the mixture for an even more relaxing and soothing experience. Some of the best essential oils for bathing include lavender, peppermint, chamomile, frankincense and myrrh. For more potent and stronger oils like rose, geranium and oregano, use only a couple of drops to avoid skin irritation. A compress is a very simple way of using essential oil to treat issues like pain and sprains, swelling, toothaches, inflammation, menstrual cramps and headaches. It involves hot or cold water, essential oils and a piece of cloth (ideally cotton). To make a hot compress, add around 4 drops of essential oil into a pint of warm water (not hot as you may not be able to stand it). Soak the piece of cloth into the water, letting it absorb the oil. Wring it out to remove all water until it stops dripping. Fold it up and hold it over the affected area until it cools down to room temperature. Repeat until you experience relief. Hot compresses are good for muscle pain, menstrual cramps, toothache and boils. For a cold compress, simply use the same method as above but get cold or chilled water this time. You can get refrigerated water or add ice cubes to tap water. A cold compress is good for inflammation, headaches, fever, bruising, sprains and swelling. You can also use it to relax your mind and body after a long day. Sniffing essential oil through the nose provides instant relief for various ailments. Essential oil molecules are carried down the trachea directly to air sacs in the lungs where they quickly enter the blood stream. Sniffing is especially effective against nasal and respiratory problems. You can also use it to beat insomnia, calm down a headache or induce emotional calm. There are several ways you can sniff essential oils directly into your body. The easiest is to inhale it directly from the bottle, though you should avoid sniffing highly concentrated essential oils. Open the bottle and hold it a distance below your nose. Make sure it is not too close that you exhale into it; this can shorten the oil’s shelf life. Breathe in the aroma that wafts upwards. Another more convenient method is using an aromatic inhaler. You simply apply around 10 to 15 drops to the wick inside the inhaler and carry it with you. When you need a treat, just open it and inhale deeply. Most inhalers will last several months before you need to add more oil. You can also add a few drops of essential oil onto a cotton ball and inhale from it. Because of their pleasant smells, essential oils are often used as perfumes. The most commonly used ones include cinnamon, orange, jasmine, rose, vanilla, sandalwood and cedarwood among many others. 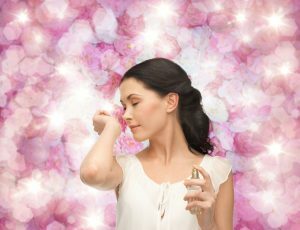 In fact, many luxury perfumes make use of essential oils to create their signature aroma. Each essential oil has its own unique aroma so be careful about the ones you choose. Your choice will depend on your personal body smell, preference and the kind of mood you want to create. Some aromas are romantic while others convey a formal persona. You can find a wide variety of recipes online to help you make your own perfume. Some recipes recommend a single essential oil while others call for a combination of them to create a unique scent. All the hard work has been done and I can guarantee that you will not be disappointed with my own creation of the 5 blends pure essential oils kit. The list above is a short concise summary of the many ways you can use essential oils. So, go out and experiment other ways you can take advantage of these scented miracles of nature. Just remember to follow recommended guidelines and if in doubt, seek for advice or drop me a line anytime. Hope you have enjoyed this post as much as I did in writing it. Dear Olivia, thank you for these helpful notes. I appreciate and love learning more about essential oils and have had some good results from using a few essential oils already. My husband has got skin spots (looks like skin cancer) and we have treated it with Frankinsence and it disappeared. I have got him hooked as well. I sometimessuffer from insomnia and have my Lavender next to my bed. I now sleep like a baby. Have a super day and a fab Valentine’s day to you. You are much welcome. This is absolutely terrific news and excellent results. Thank you and have a happy valentine as well. I would like to ask Olivia about avocado oil. It is not mentioned as a carrier oil in your newsletter. to firm sagging facial skin and is good for elasticity. Would very much like to hear your opinion on this. Can one add essential oils to it? Indeed, avocado oil is a great carrier oil, especially for all types of skin woes. Absolutely, you can add any essential oil of your choice to avocado oil. Remember, use a 2% dilution, i.e. about 12 drops essential oil in 30ml avocado oil. I have avocado oil and much more covered with all my skincare and beauty recipes in my 2 eBooks.